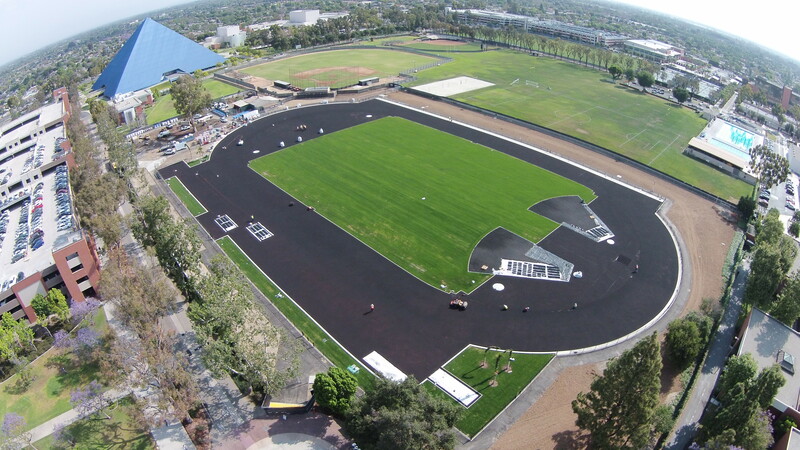 This week we have a project update status on Long Beach State’s Track and Field Renovation. Siegfried was hired as the Track Facility Design Expert to consult on the Master Plan and Construction Documentation for the renovation of the new track and field facility. The scope of the project includes renovating an old dilapidated facility that was shut down by the University for use into a state-of-the-art IAAF track and field facility. The entire facility master plan includes full build out plans to be able to hold large regional qualifying meets or Olympic trials. Phase 1 of the project was value engineered to include the installation of the essential track infrastructure and track to build the groundwork for the success of the full build out at a later date. 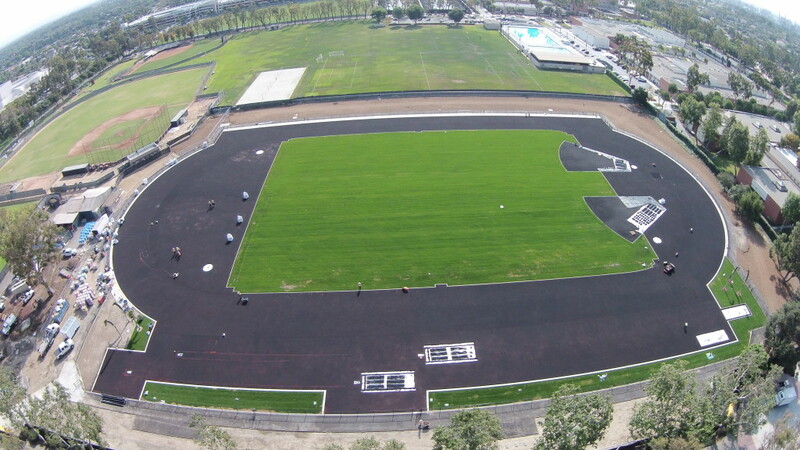 The track material is finishing up this week and striping will begin next week!